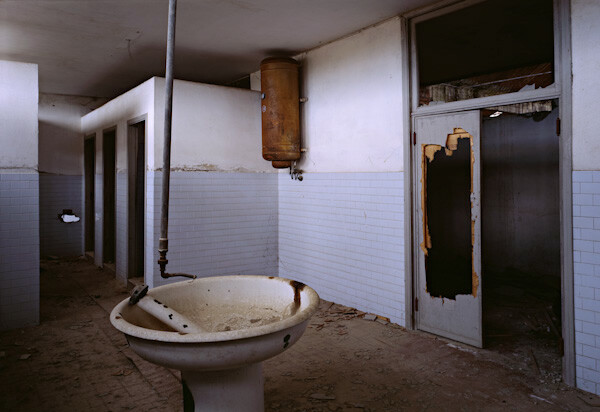 Abandonment is not (only) beautiful itself. It's a starting point to tell a story. ​​The old village of Frattura Vecchia (abruzzo) was largely destroyed in 1915 by an earthquake, the so called "Marsica earthquake". Since 1934, after 20 years lived in wooden shacks, a new village were built not far from the old one. 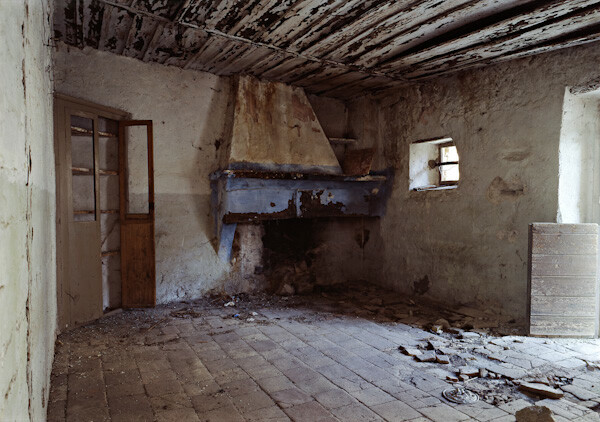 In 1915 Frattura had around 5000 inhabitants, mainly working in sheep-breeding and altitude agriculture. 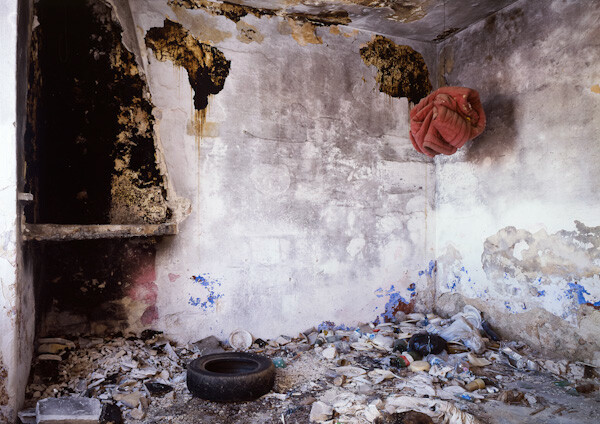 Nowadays only 30 people still live in Frattura Nuova (the new village), while the old village is deserted. 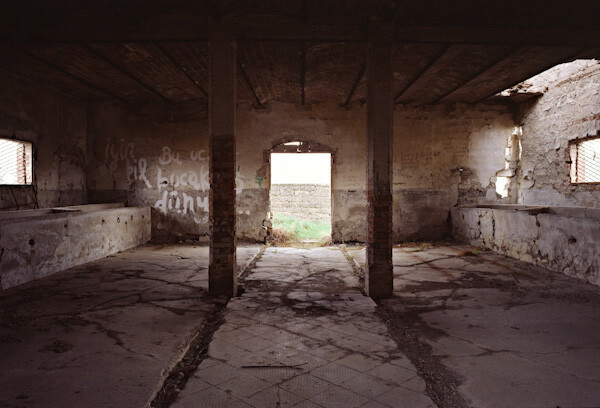 ​The history of Sperone (Abruzzo) is similar to that of Frattura Vecchia. The origins of the village date back to XII sec. The main economic activities were agriculture and wood trade. As for many others villages around the Fucino plain, the 1915 earthquake destroyed almost everything. The new village of Sperone Nuovo were built soon after the earthquake, followed by a new road, a new church, the electricity and so on. 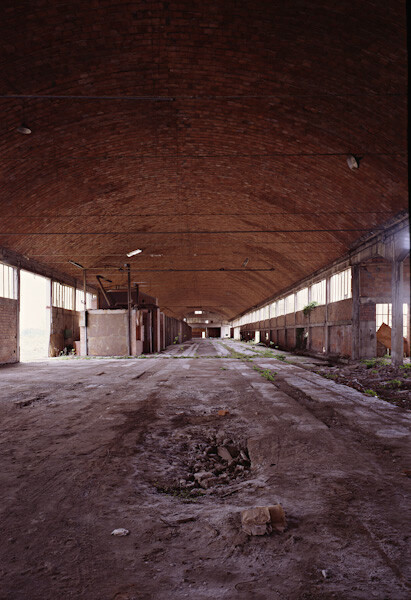 But between the end of '60 and the begin of '70 the population were forced to leave the new village and move to a more "comfortable" and "economic" (from a management point of view) position (another new village indeed) in the Fucino plain. 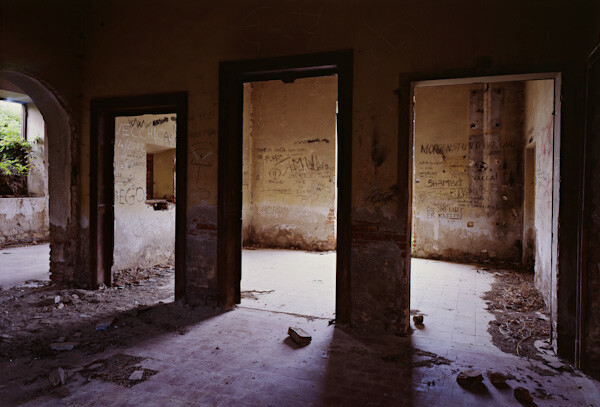 So Sperone Nuovo were abandoned and today is totally crumbling. 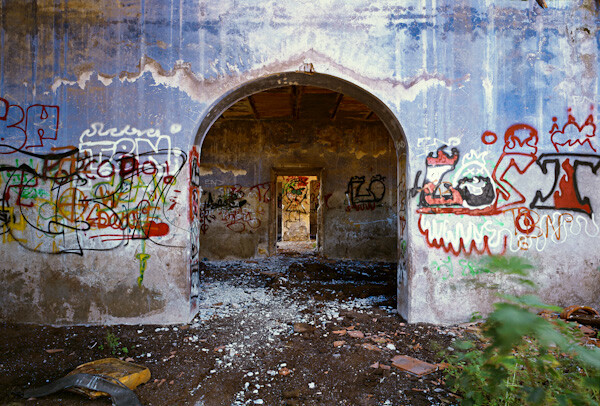 ​Corvaro, as for Sperone and Frattura, was shocked by the 1915 earthquake. The new village was built beside the old one. At the beginning some people kept on living in the old buildings, while most moved to the new area. 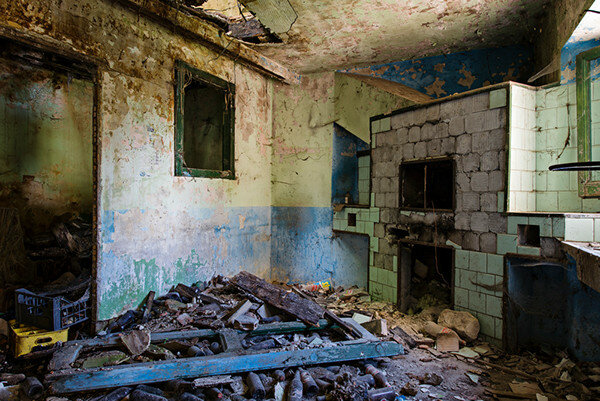 Nowadays, the old village is largely abandoned. Several buildings are collapsing. Others are used as deposits or for leaving garbage. 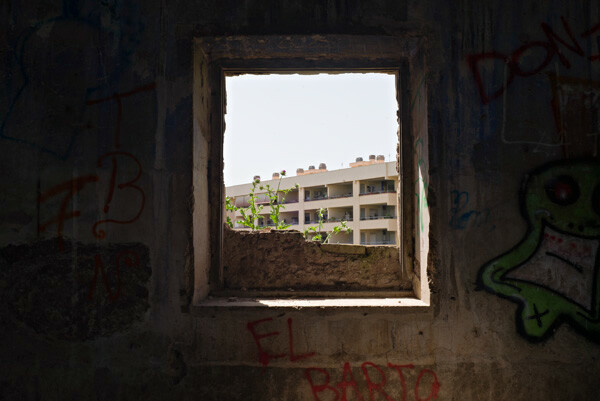 It seems that between the new and old Corvaro an invisible barrier exist. 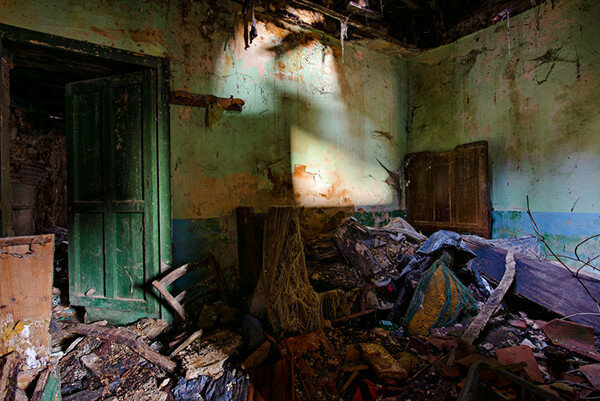 ​The green-blue room of old Corvaro, that is the former house-workplace of a local baker. This building as well as others around constitute an area only slightly damaged by the 1915 earthquake. Nevertheless, in the late '60 all of the people left their house for new, more comfrotable, locations in the "new", fast growing, area of Corvaro. The abandonment and the work of several vandals and thieves make the situation that you see in these two pictures. 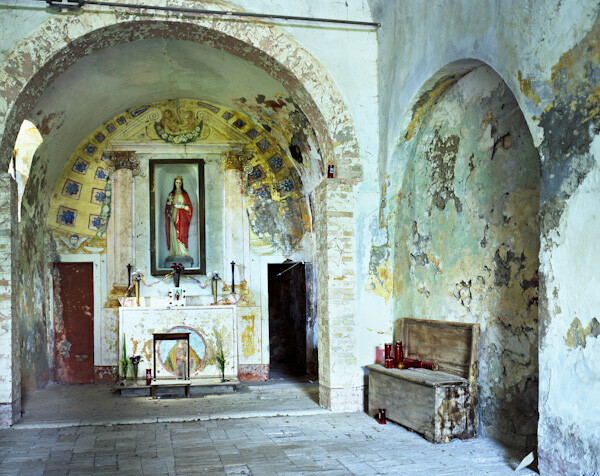 ​The S. Lucia hermitage on Soratte Mountain, Latium, not far from Rome. Part of a former monastery, this place was the base of various hermits from 1613 to 1780. Despite some renovation works, nowdays the structure is in precarious conditions. 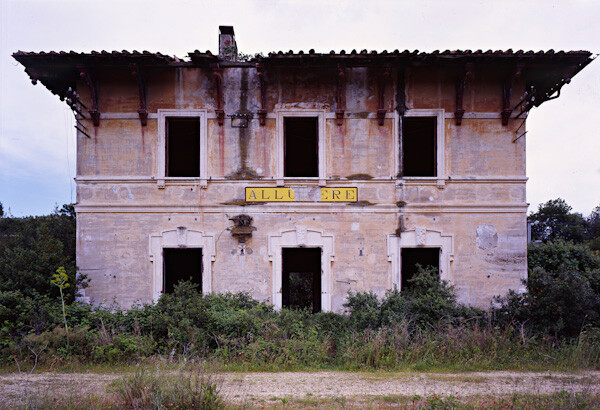 ​The Allumiere station, located along the Civitavecchia - Orte railway, Latium. The railway was planned with the purpose of connect the Terni steelworks (Umbria) with the harbour of Civitavecchia on the Tyrrhenian sea. The line was active until 1961, when was "temporarily" suspended. Some of the stations along this line have been constructed with a characteristic "roman" and classical style, using also a liberty touch. Actually there's a plan for the reactivation of the line. ​The abandonement of farmland and farming, property speculation and overbuilding of the ground are relevant problems in Italy. 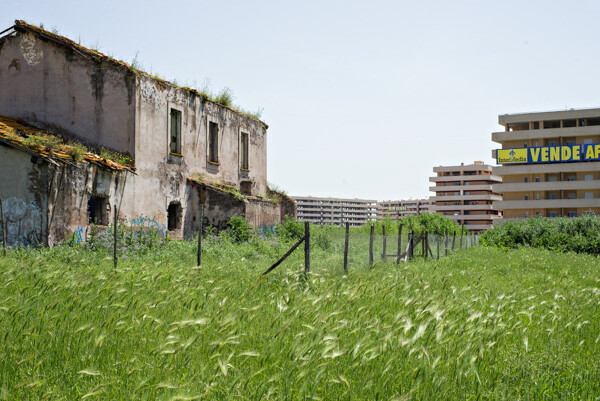 In the suburbs of Rome, several old farms were abandoned many years ago, while new residential quarters have been built very quickly, often without an adequate planning, taking away agricultural land. 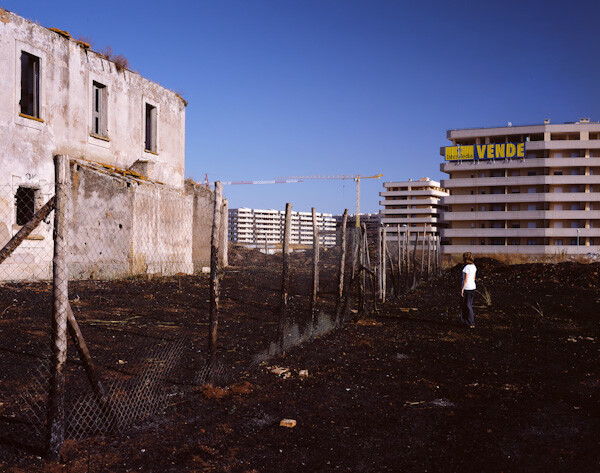 Here, new residential quartier in the south suburb of Rome (Laurentina). ​One year later (Rome, Laurentina). 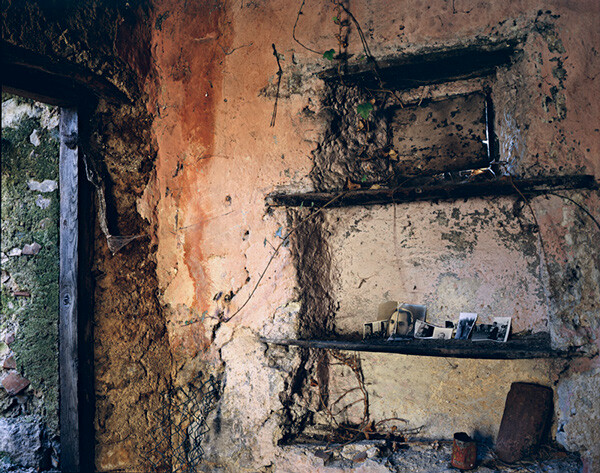 ​In the picture above and in the next two pictures: the interior of the farm of the previous picture. 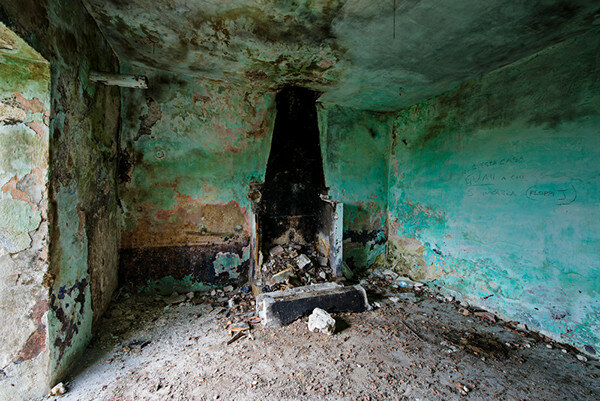 ​Abandoned farm in Val d'Orcia, Tuscany, UNESCO World Heritage. 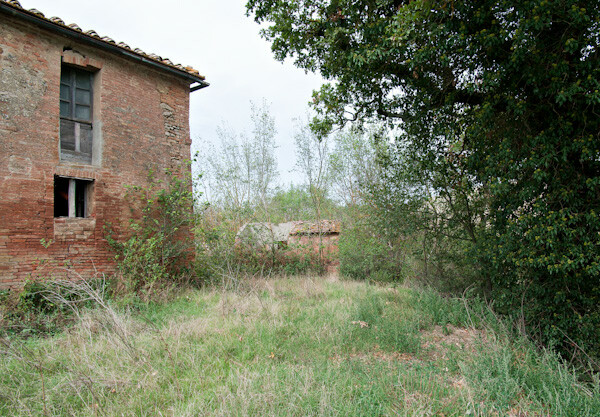 ​Abandoned farm in the Asso river valley, Tuscany. 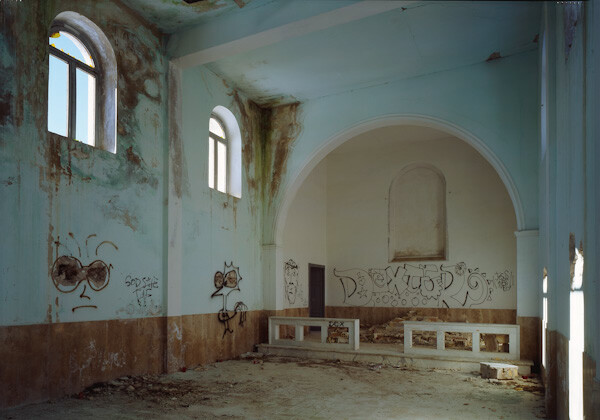 ​Another problem, linked to the reduction of farming and the speculation in a general abandonement of the territory. This fact plays an important role in the geological instability, so widespread in Italy. 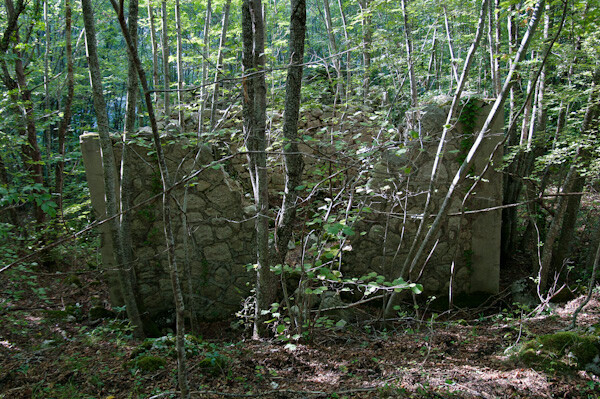 In the picture above, an abandoned forest ranger house in the Gran Sasso area (Abruzzo). 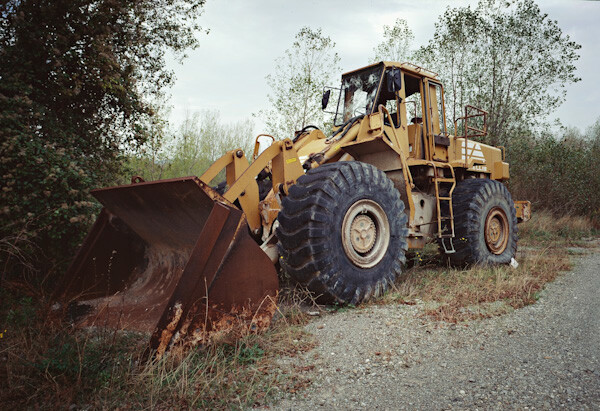 ​Abandoned escavator in a former gravel quarry beside Orcia river, Tuscany. ​The old furnace for the terracotta production beside Pienza, Tuscany. 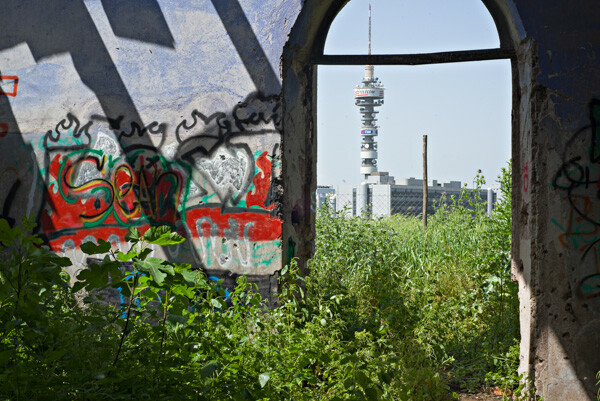 After several years of abandonment, the structure now is in anticipation of renovation. ​The interior of the old furnace of Pienza.